I have found that there are two kinds of voracious readers - those who read from childhood on and those who read after finding a special book once they get a little older. (Don't shoot holes in this today - just roll with it.) I know if I've said it once, I've said it a thousand times, that I began reading when I was little. 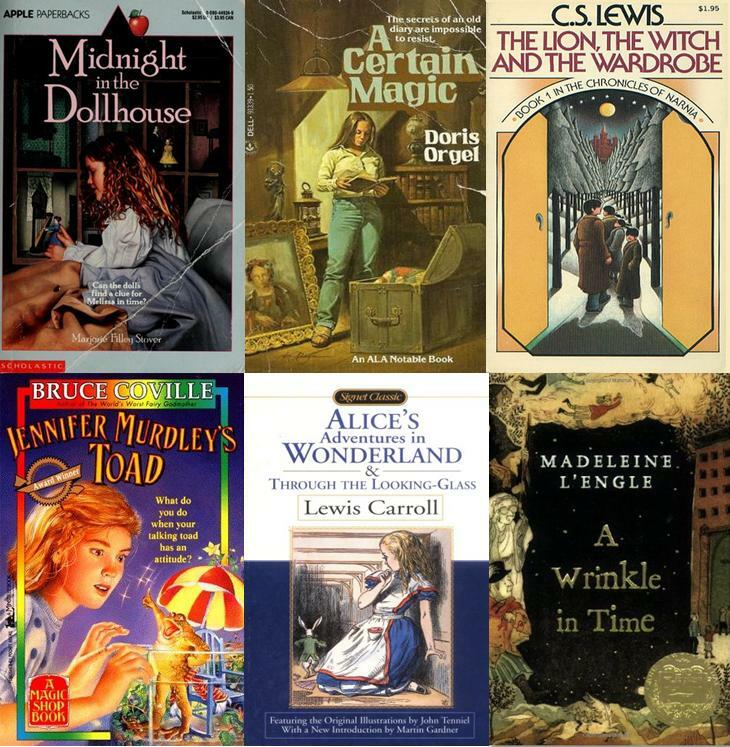 Instead of me going crazy and writing a novel-length post about great juvenile literature (I could very easily), I will list a FEW that were my favorites* as a child. Yes, I know I am leaving great ones out. It is going to hurt me to do it, but these are the ones that I found myself reading over. And over. And over. Also, the ones that I've listed which are the first in a series represent the entire series. *I began reading adult level literature when I was seven or eight, so most juvenile fiction that I have read was as an adult. Yes, I know that is odd. Blame Piers Anthony. My favorite juvenile book(it is not cool to call books juve anymore) was Peter Pan growing up.After that book I was hooked to the printed word for LIFE. Hello, I'm follower number... 300! :D Woohoo! Lewis, L'Engle and Carroll are there of my idols. Seriously. To this day. The first time I read, "The Lion the Witch..." I was so young that it took me forever to get through, but I wanted to read it because all my older siblings had said how good it was. I haven't read it in a long while. Maybe it's time to pick it up again. Great posts! I cannot count how many times I have read and reread the series. You should definitely give it one more shot! Greetings! One of my all-time favorites that I read in school was Maya Angelou's I Know Why the Caged Bird Sings. It remains one of my favorites even now! Have a great April!